Miss Delta was founded in line with the celebration of our great state anniversary in 1991 and as such, we appreciate the role of the then First lady Mrs Mariam Babangida and have also decided to raise virtues women who will be great ambassadors of womanhood in character, integrity and modesty as a true Africa Lady. 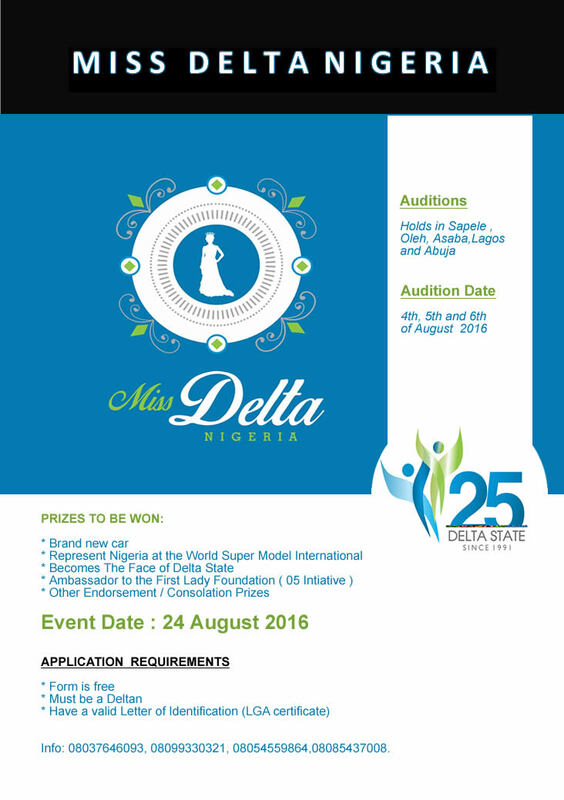 Miss Delta is devoid of all form of indecent or immoral dressing and conduct. it will also help bring our daughters back home and closer to their constituencies as this forms a major part of the competition(Know Your Constituency). 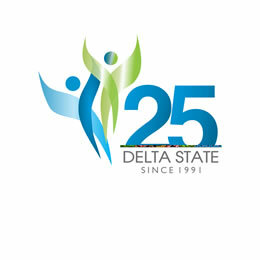 It is to promote a positive image for Delta's by creating awareness of the social, cultural, economic, health, wealth, beauty and lifestyle issues within Delta State. The pageant explores the beauty of Delta women from around to bring you one being and soul of natural and great talent with beauty and brains to represent Deltans worldwide. We are proud to announce that the overall winner of the Miss Delta Nigeria will be awarded a Brand new car, be eligible to Represent Nigeria at the World Super Model International. She also becomes The Face of Delta State and Ambassador to the First Lady Foundation ( 05 Intiative ).